Welcome to TTCAN from the SportLoMo team! The Canadian Table Tennis Association was formed in 1929, with Québec as the founding provincial member and Ontario joining 5 years later. The Governing body’s head office is in Markham in Ontario. Table Tennis Canada (Tennis de Table Canada) is often known as TTCAN. 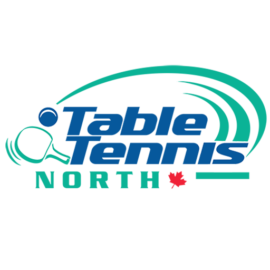 Table Tennis Canada is a member of North American Table Tennis Union (ITTF-North America) and this union sits underneath the world governing body for the sport, The International Table Tennis Federation (ITTF). The role of the ITTF includes overseeing rules and regulations and seeking technological improvement for the sport of table tennis. The ITTF is responsible for the organization of numerous international competitions, including the World Table Tennis Championships that has continued since 1926. It is headquartered in Lausanne, Switzerland. Table Tennis Canada is a non-profit governing body and is responsible for cataloging and sanctioning tournaments within Canada. In addition to processing tournaments, TTCAN maintains a national rating and ranking system. It also oversees the Canadian National Teams. Recently Table Tennis Canada were recognized by the ITTF for the Best World Cup Event of 2017. Criteria included presentation, marketing, television production, sponsorship implementation, media implementation, player services and playing conditions. The award was announced and presented at the World Team Championships in Halmstad Sweden. 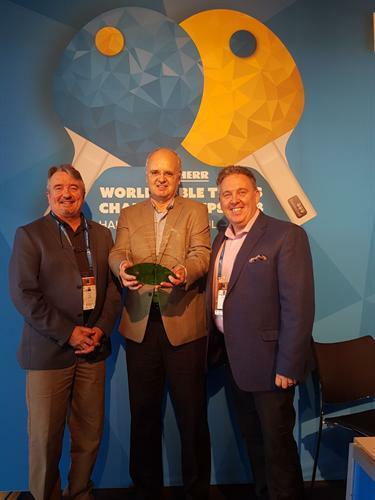 On hand to receive the beautiful plaque were Brian Ash – TTCAN Director of Marketing, Tony Kiesenhofer – TTCAN CEO, and David Jackson – TTCAN President. Table tennis first developed in the late 1800s as an indoor version of lawn tennis. More than a century later, the Olympic competition features singles and team events for men and women. All singles matches are best-of-seven games. A game is won by the first player scoring 11 points. If both opponents reach 10 points then the game is won by the first player to gain a lead of two points. Through both seeding and preliminary rounds, players are placed into a single elimination tournament, eventually leading to the semifinal winners playing for gold and silver and the semifinal losers playing for bronze. Teams of three players each participate in team matches which are called contests. Each contest is best-of-five matches, consisting of four singles matches and one doubles match. Each singles and doubles match within the team competition are best-of-five games. The team competition is also run as a single elimination tournament. The winners of the two semifinals advance to play for gold while the semifinal losers play for bronze. A table tennis table stands 76cm above the floor and is nearly three metres long and a metre and a half wide. The net over which the ball must travel is just over 15cm high. Mo Zhang at the Rio 2016 North American Olympic qualifier (Photo: Table Tennis Canada). Table Tennis Member Registration, sign up your members with Online Registration.